If you want to get success in blogging, you must use the SEO tool. These SEO audit tools are very important to rank your content on Google’s 1st page. I am going to share some of the best premium and free SEO tools with you. Which will help you in Keyword Research, Competitor Rank, Rank Tracking, and Link Building etc? With these SEO audit tools, you can easily get a higher rank in Google. Every website and blog has a dream that its blog or website is top rank in Google but for this SEO tools are very important. In SEO, you have to use a various tactic such as Keyword Research, Competitor Rank, Rank tracking, and Link Building etc. 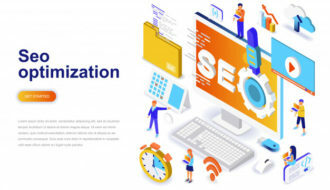 Apart from this, you must have SEO basic knowledge along with SEO tools, so that you can optimize your article according to the search engine and get a higher rank in the search engine. One feature of SEMRUSH is that you can check the domain ranking of your domain or any country’s keyword. You can find out your competitor, Best Backlinks, Best Content, Best Keywords, Paid Traffic, on SEMrush SEO audit. With it, you can also get quick latest keywords and long tail keywords. You should always choose long tail keywords for your content as they are very effective in achieving targeted traffic. Its monthly plan starts at $ 99.95, but you can use its 14-day trial version. Ahrefs is a great SEO audit tool that monitors your search traffic, competitors and your niche. It helps you to know why your competitors are doing so high rankings and what you need to do to overcome them. Its monthly plan starts at $ 99.95 but you can use its 7-day trial version. Long tail pro is the best tool to get more website traffic. Which shows you good and targeted long tail keywords. It works like a Google keyword planner and it also provides Competition Score. You can use it with $ 25 / month apart from a 7-day trial version. This is Google’s most popular free SEO tools. With this help, you can search for profitable keywords for your content and see popularity and historical statistics for any keyword. With the help of Google Search console tools, you can submit/check sitemap for your website and see indexing, internal/external links, crawl rate status etc. of your website. Using this tool, you can check your website speed. Google has announced in its Algorithm that the website loading speed in Google Rankings is the most important factor. If your website loading time is too slow, improve your website loading speed. Google Analytics is a free website analysis tool that helps track traffic to your website. With the help of the Google Analytics tool, you can see traffic statistics for your website, where they are coming from, how many new users and returning users are, and what is the site Bounce rate. You can use this free SEO tool to find out what’s currently being searched on Google. This allows you to create good content for your website or blog and easily increase website ranking and traffic. This tool compares the traffic of two websites, with the help of this tool, you can easily monitor and compare your competitor’s website or blog. Using this best SEO services, you can create a sitemap for your website. Enter your website URL to create a sitemap and submit it in webmaster tools after the sitemap has been created. This helps you find broken links on your website so that you can get rid of those broken links. This is the best SEO services to help check backlinks, domain authority, backlinks building, SEO metrics etc. With this website analysis tool, you can check backlinks, domain authority, website spam score, backlinks detail etc. But in the free version, you can use it 3 times a day. You can use it with $ 149 / month, apart from that you can also use the 30-day trial version. This is a search engine and a backlink checker tool. With this help, you can compare your competitor’s website. You can use it with $ 149 / month or you can sign up for free with limited features. With this SEO tool you can check page metrics, off page metrics, domain authority, backlinks, Moz matrix, keyword usage, website speed etc. This is the best free SEO tool and you will not need to pay any kind of payment for it. 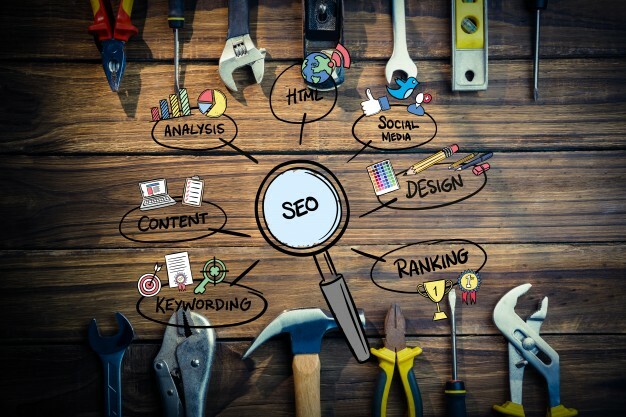 These were some of the best SEO tools that will help grow your online business. If this article has proved to be helpful for you, do not forget to share it!